This simple, elegant green bean recipe is a regular part of our Thanksgiving feast (whether vegetarian or otherwise). 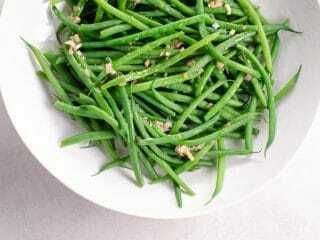 Haricots verts are a slim, delicate variety of green beans befitting the holidays. You can pop off the coarse end of each bean a day or two in advance, after which they cook up in just a few minutes. Haricots verts are just a slim, delicate variety of green beans. They're worth seeking out for an elegant dish like this one. 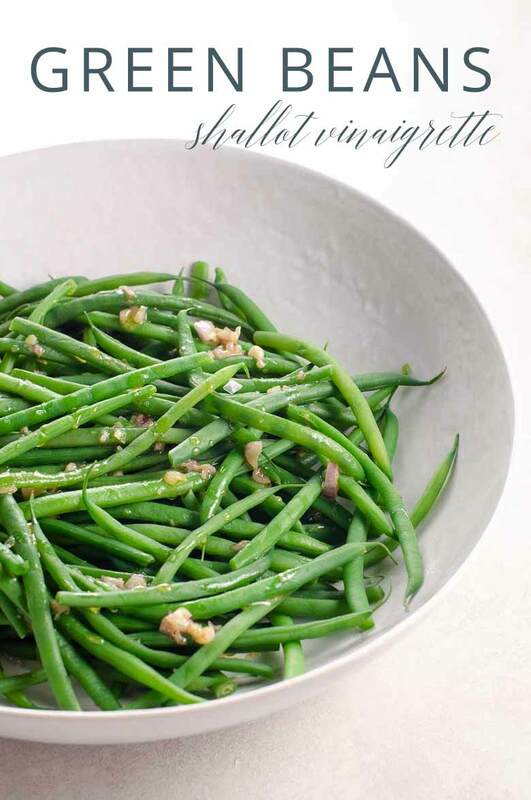 Haricots verts are thin, delicate French green beans, and they're worth seeking out for a simple, elegant side dish like this one. 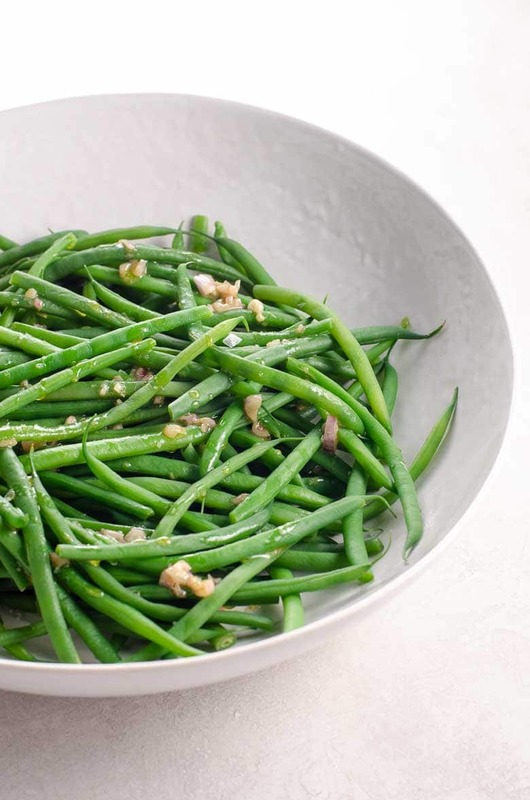 We love to serve these green beans at the holidays, but they're great anytime. They serve 12 at the holidays when there's a lot of other food around, but make the whole amount for a smaller crowd if they're a bigger part of the meal. Trim the coarse end from each green bean. 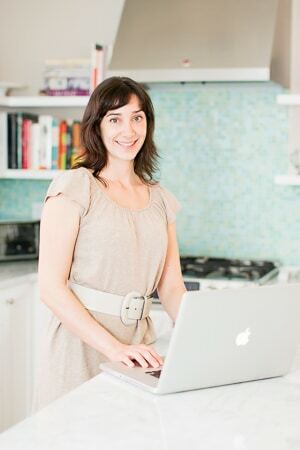 Meanwhile, fill a wide, lidded pot or pan with 1 inch of water and two teaspoons of and bring to a boil over high heat. Add the trimmed beans, replace lid and cook until just tender, about 5 minutes. While the water comes to a boil, place the minced shallot in a wide, shallow serving bowl large enough to accommodate the green beans and pour in the vinegar. Stir to combine. Wait five minutes for the vinegar to take the bite out of the shallots. Then whisk in the mustard, salt, pepper and olive oil until well combined. Drain green beans and add to the serving bowl. Toss to coat green beans with dressing and serve warm.